The Fibroid Center at St Johns Interventional and Vascular Institute specializes in the diagnosis and treatment of fibroids, offering women a safer alternative to traditional surgery. We have provided you with some of the most common and frequently asked questions and answers FAQ for your convenience below. Uterine fibroids are abnormal growths that develop in the reproductive system of a woman’s body, myometrium or thick muscular layer of the uterus or inner mucous membrane lining of the uterus. 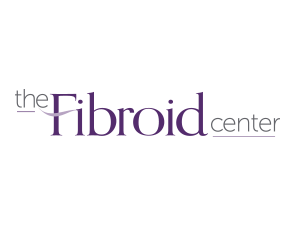 Fibroids are also known as uterine myomas, leiomyomas or fibromas comprised of smooth muscle cells and fibrous connective tissue that develop as growths in the uterus. Fibroids can range in size from the size of a pinhead to as large as a melon. What are the Common Symptoms of Fibroids? Uterine fibroids can become dangerous in the event they cause blockages and other medical conditions such as iron-deficiency anemia. Uterine fibroids are an incredibly common diagnosis for women. It is common for women to have numerous fibroid tumors that are located in various parts of the uterus. In fact, three out of every four women in the U.S. have fibroids during their lifetime. Nearly 75% of women suffer from fibroids by the age of 50. Two thirds of fibroid tumors are never diagnosed as only one in three women usually experiences symptoms. Fibroids are often too small to be detected by a physician during a physical examination. They are often found incidentally by pelvic ultrasound. A pelvic MRI scan uses magnets and radio waves to capture images inside your body in your pelvic and hip area without making a surgical incision. A pelvic MRI will provide images of your reproductive organs, muscles and soft tissues, and is the best study to evaluate fibroids in your uterus. What is the Size Range for Fibroid Tumors in the Uterus? Fibroids can range in size from the size of a pinhead to as large as a melon. Does the Size and Number of Fibroids Matter? The size and number of fibroids does not make a difference. If you have been told your only option is surgery based on the size and number of your fibroids, you have been given false information. Interventional radiology procedures such as UFE are effective regardless of size or number. Is a Hysterectomy My Only Option for Fibroid Treatment and Removal? Uterine Fibroid Embolization (UFE) may also be referred to as Uterine Artery Embolization or (UAE). UFE is the latest and now most effective treatment for uterine fibroids using interventional radiology in lieu of surgery. Interventional radiology (IR), also known as surgical radiology, is changing the medical landscape at a rapid pace with revolutionary, minimally-invasive, image guided diagnosis and treatments. Unlike traditional surgery, interventional radiology employs the most modern technique available in order to minimize risk to the patient. Uterine Fibroid Embolization or UFE is an established, proven, minimally invasive procedure using interventional radiology to destroy fibroids in the uterus by depriving them of their blood supply. More women are asking for UFE as it is a safer non-surgical alternative to a hysterectomy. UFE is less invasive, involves a shorter recovery time, and results in a significant reduction or elimination of symptoms. How Can I Find Out if I’m a Candidate for UFE? The best way to know for sure if you are a good candidate for UFE is to schedule a consultation with a fibroid specialist. The fibroid specialist will schedule you for a pelvic MRI. During your consultation, the fibroid specialist will review your past medical records and history, discuss your symptoms and review the results of your pelvic MRI with you thoroughly. If you are a good candidate for UFE, the procedure can be scheduled. If you are not a good candidate for UFE, the fibroid specialist will discuss the findings of your consultation with your OB-GYN or primary care physician so you can pursue alternative treatment options. What is the Recovery Time with UFE? The UFE procedure takes less than one hour to perform and is performed as an outpatient procedure and patients return home the same day. Patients who choose UFE over surgery have a short recovery time of 4 days to a week, versus surgery recovery times that can take several months for the patient to completely heal.